"Of course I'm a threat. Why? Did you think for a moment that I wasn't?" 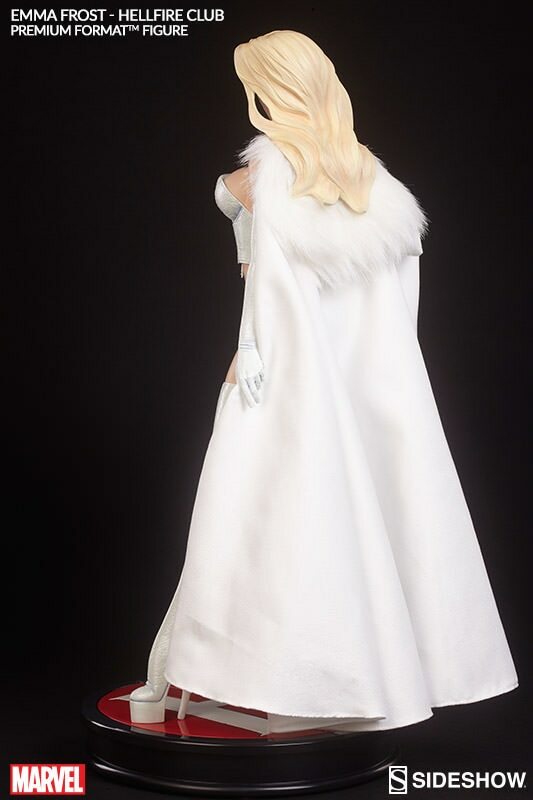 Sideshow Collectibles is proud to present the alluring Emma Frost 'Hellfire Club' Premium Format™ Figure. First introduced in Marvel’s acclaimed Dark Phoenix Saga storyline as the White Queen of the elite Hellfire Club, ice-cold Emma Frost began her career as one of the X-men’s hottest adversaries. Unapologetic and uncompromising, the diamond-sharp diva rapidly ascended to the top of the corporate ladder on the strength of her intelligence, drive, and charm – as well as her powerful mutant abilities. 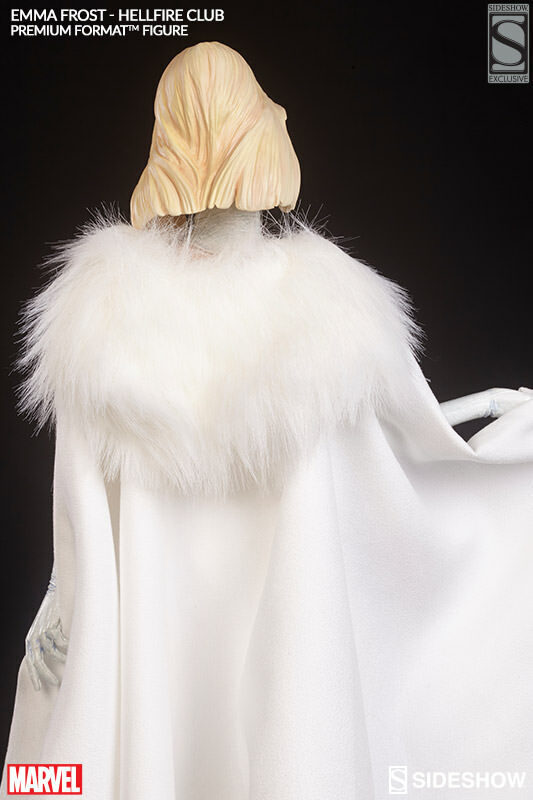 Sideshow Collectibles is proud to present the alluring Emma Frost Premium Format™ Figure. First introduced in Marvel’s acclaimed Dark Phoenix Saga storyline as the White Queen of the elite Hellfire Club, ice-cold Emma Frost began her career as one of the X-Men’s hottest adversaries. This is a very tall gorgeous statue which I consider 1 of Sideshow's very best. She is the best looking blond, blue-eyed statue I've ever seen. I rate this Emma Frost 5 stars, 5 being the absolute highest.